Many things have changed since the early days of e-commerce, and the biggest trend today for online businesses is dropshipping. Shopify has opened up a whole new world of technology for merchants. It has made it much easier to get products anywhere in the world, without the hassle of the site owner having to worry about shipping. In the blog post, I’ve identified 10 of the best Shopify apps to use to help with your business. PushFlew is an exit-intent popup and abandoned cart recovery push. There are four different pricing plans offered by PushFlew. They have great support – they list a phone number, an email, and an FAQ page for all of your needs. Oberlo helps you to find products quickly that you can sell as well as helps with auto shipping orders and updating your inventory and pricing. Finding products to directly upload to your Shopify store. You can import products from Aliexpress and Oberlo Marketplace. Autoship capabilities when clients buy something from you. Simply order it from Oberlo, and they will handle all of the shipping for you. Keeping your product pricing updated, along with your inventory levels. Customizing your products by renaming, changing descriptions and images, and much more. Determining the fastest shipment possibilities from multiple suppliers. Oberlo offers three different pricing plans. Their support includes email and an FAQ page. Next on our list is Modalyst. They boast that you can source, list, and sell products across 40+ categories. Manage thousands of suppliers and millions of products in one place. Constant inventory and product updates. Item customization, including editing descriptions, pricing, and images. Automatically mark up items based on rules that you create. Sync your orders and tracking numbers, so customers always know where their package is. Integrates with Kit, Wish.com, Shein.com, and Name Brands. Modalyst has four different pricing options. You can see their FAQ page here. Email support is also available in addition to the FAQ. 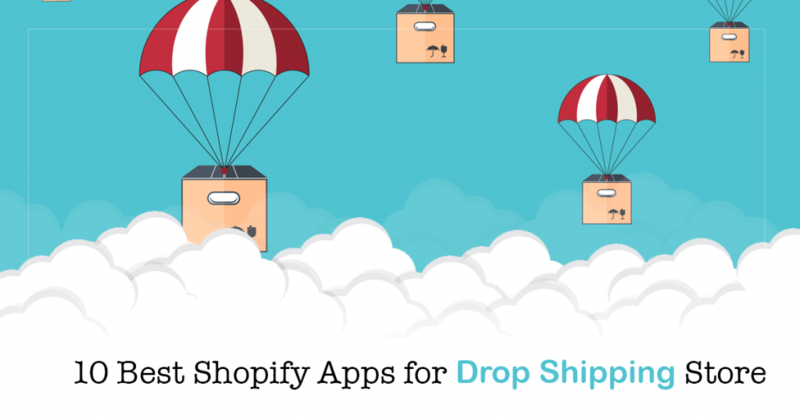 As Importify states, this app was built to help Shopify drop shippers increase their revenues, while automating many of the features associated with this type of business to save them time and money. 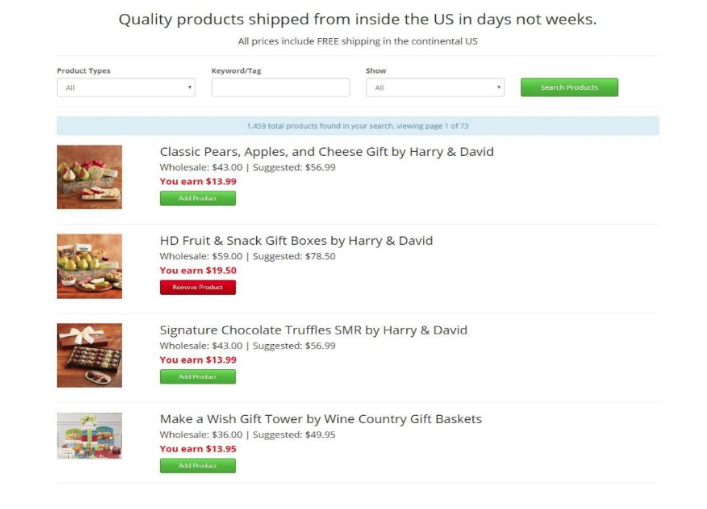 Importify is designed for one simple purpose: to allow you to import products. This app will allow you to import a large array of products from some of the biggest wholesalers, such as AliExpress, Amazon, Alibaba, and Etsy all at the click of a button. With Importify, you must use it with Google Chrome or else it won’t work. Importify offers three different pricing plans. It depends on how many product suppliers you think you need. 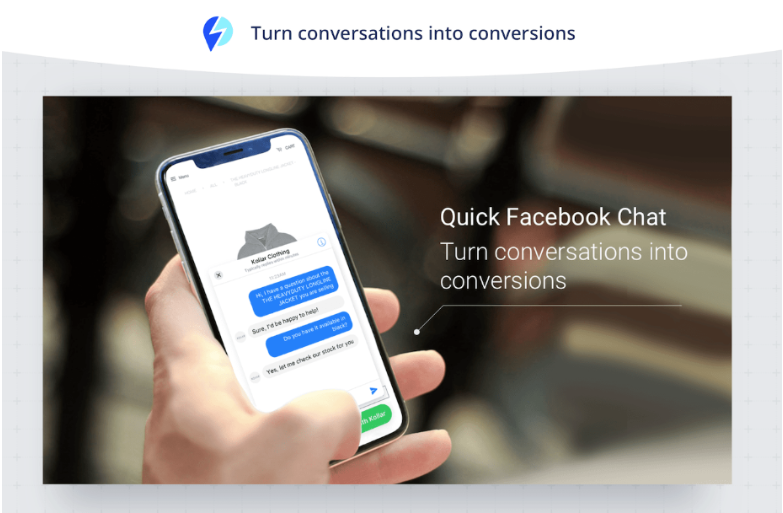 Conversio is a wonderful app that helps you with upselling products to your current clients. Audience segmentation available to custom target messages. Coversio has abandonment cart email templates that you can use to try and recapture potential clients. Use Coversio’s prewritten follow-up emails to cross-sell or upsell current clients. Newsletter emails available in order to stay in touch and engaged with your clients. 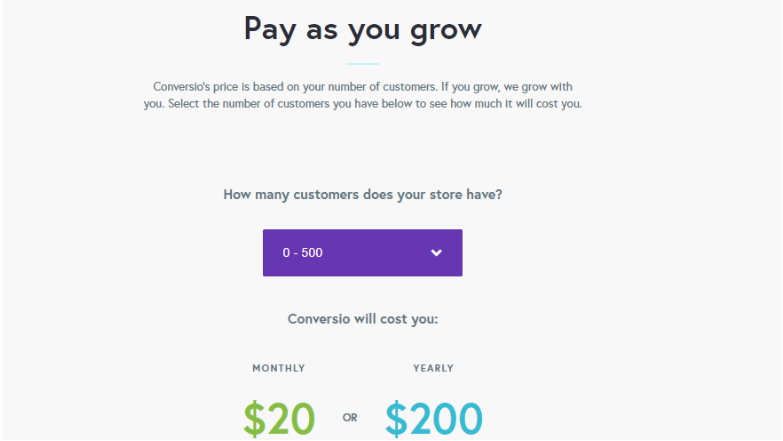 Conversio has a “Pay as you grow” plan< which is a little different than most. Fomo is an incredibly smart app that leverages social proof to convert buyers. Fomo displays recent reactions from customers who have purchased from you on your storefront. Shows off live traffic stats with the click of a button. Automatic detection locations that show where your most recent shoppers are from. Ability to build custom “webhooks” without any coding. 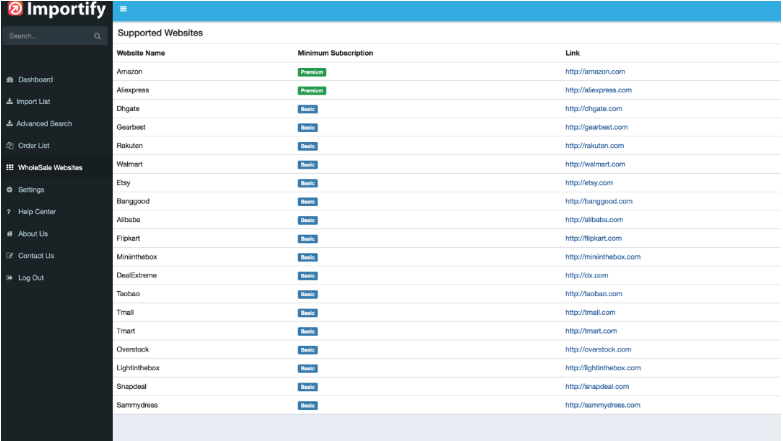 Add clickable URLs from non-Shopify integrations. You can also see their app in action here, being used on a merchant’s website. Fomo offers three different pricing options. The U.S. Drop Ship app allows you to find thousands of products and ship them to your customers in days, not weeks. And the best part is has free shipping for products shipped to US residents. 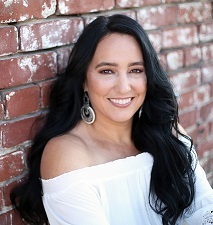 Allows you to add thousands of products to your shopping cart for free, including any of their premium, branded, and gift products. Products automatically drop shipped to customers when sold. All products come with FREE shipping within the United States. Gift messaging available on all products. This app has no cost associated with it. It is a free app with a 5-star rating. So go ahead and give it a try! Facebook Chat provides your shoppers with a better customer service experience by allowing them to contact you through Facebook immediately. Facebook Chat provides live, instant, and personal interaction with your customers. This improved customer service should help turn your conversations into conversions. Because you are chatting with someone’s personal Facebook account, you can now personalize your future messages to them much better. The greatest part about this app is that it’s free! So now there’s no excuse not to download it. Aftership is designed to help your customers track their packages and keep your customers engaged with your brand. Upload your logo and customize your color scheme on all of your packages. Build your own tracking page that includes Instagram image feeds and product marketing banners. Aftership integrates with over 450 carriers worldwide including UPS and FedEx. Automated text and email notifications telling your customer where their package is. 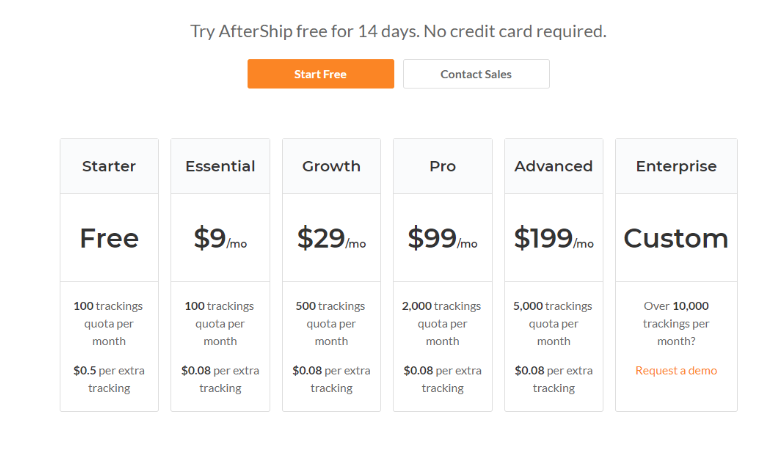 Aftership offers a variety of different pricing options for your needs. They even offer a 14-day trial, so you can try the product. The last one on our list is Printify. As stated on the Printify website, they are an ALL-IN-ONE print on demand platform that allows you to create products with your designs, sync products and descriptions to your online stores, process orders, handle printing, and ship directly to your customer. They have a wide selection of products for your store at very competitive prices. They have an easy to use Mockup Generator. They have a wide variety of printing partners across the world. Everything automatically syncs to your store. Printify has three different pricing options. One of those options includes getting a quote for Enterprise pricing. The ten Shopify apps quickly looked at in this list are designed to help you with everything you might need for your online business. Some of them have trials and some of them don’t. Some have a cost and some of them don’t. In the end, the apps that you choose will all come down to what you need for your business.